It’s the last Friday night in 2018, and why not accompanied with some class tender and juicy medium-rares right beneath Ubud evening sky? Join our heavenly Steak Carnival dinner at the rooftop as one of our festive evenings to welcoming the new year. Start light and easy with the bar’s palate trigger of Craft Signature selections during sunset, enjoy your second one on the house for two full hours. 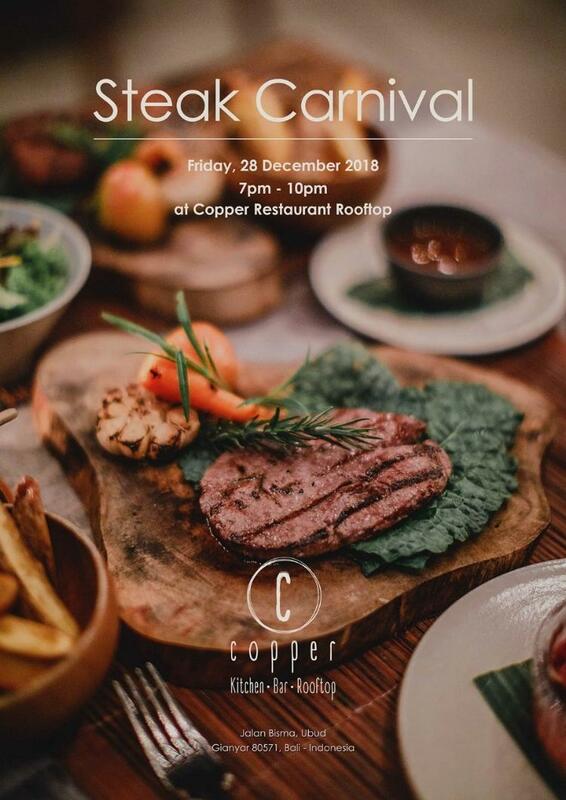 Join our heavenly Steak Carnival dinner at the rooftop as one of our festive evenings to welcoming the new year. Book your table early to avoid disappointments.